I have always wondered why the calendar app icon shows the date so you can take a quick glance at the homescreen and know what day it is, but the temperature is not displayed on the weather app. This seems like an obvious bit of functionality that would create a great user experience. Fortunately, International Travel Weather Calculator has released Fahrenheit. What can I say about this app? Fahrenheit does its job and it does it well. 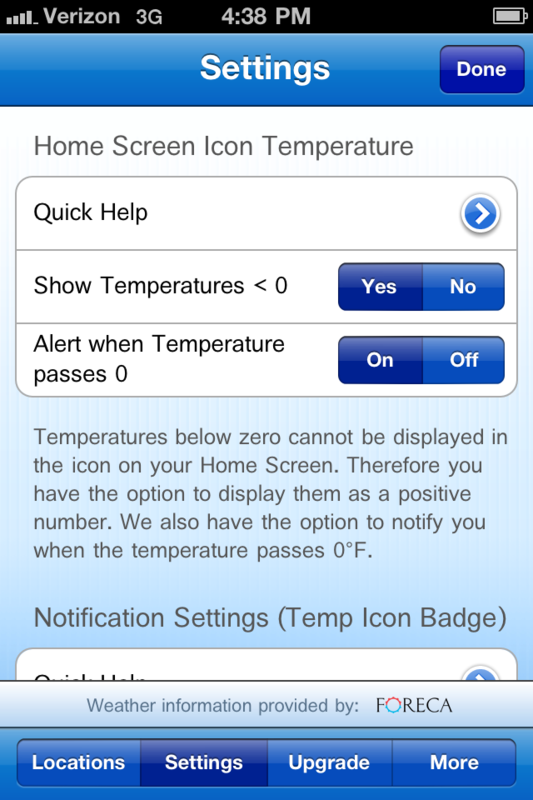 The major thing is that the temperature is displayed on the home screen. I prefer to live in the now, so I typically only care what the temperature is right now. However, if I have the desire to peer into the future and see what mother nature has in store you can quickly get a ten day forecast. I also like the fact that it supports an unlimited number of cities. This is especially nice for folks who travel. In addition to the ten day forecast, you can also see things like wind direction, precipitation, sunrise/sunset, UV index, and much more. There is also an upgrade available so you can see the 3-hourly rain radar, 3-hourly satellite maps, and wind speeds. The upgrade is a very reasonable $.99. Fahrenheit’s user interface is exceptional. The developers did a great job putting the graphics together for this app, and their hard work shows. The app icon is nice too since it matches the default calendar app and blends in nicely. There is also a dark colored theme that you can switch to if you don’t care for the default. The one thing some may not like about this app is that you will have to purchase a different app if you want to have temperatures reported in Celsius. I don’t imagine this would be a huge issue for most, unless you travel a lot between countries which use either fahrenheit or celcius. Even then it would only cost you $1.98 to buy both apps. 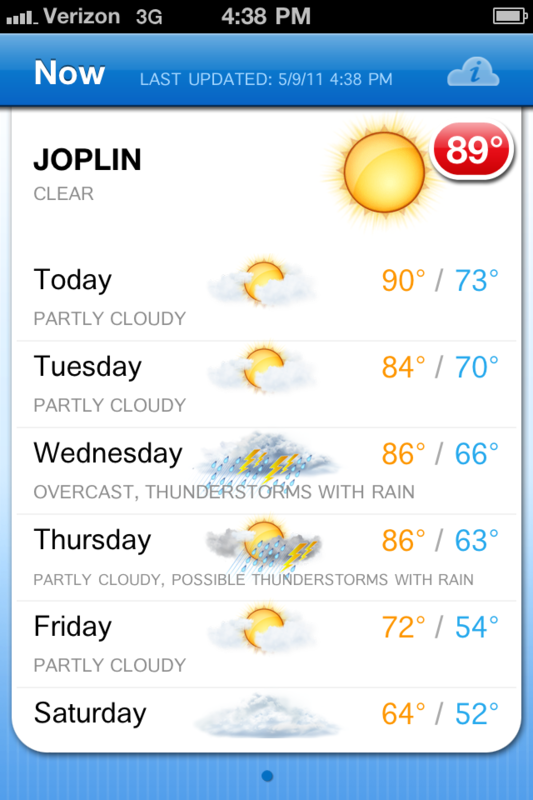 The bottom line is, I think this should replace the weather app that comes installed on the iPhone. 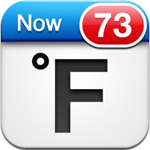 While Fahrenheit is a simple app, the developers executed it well and made it look great. 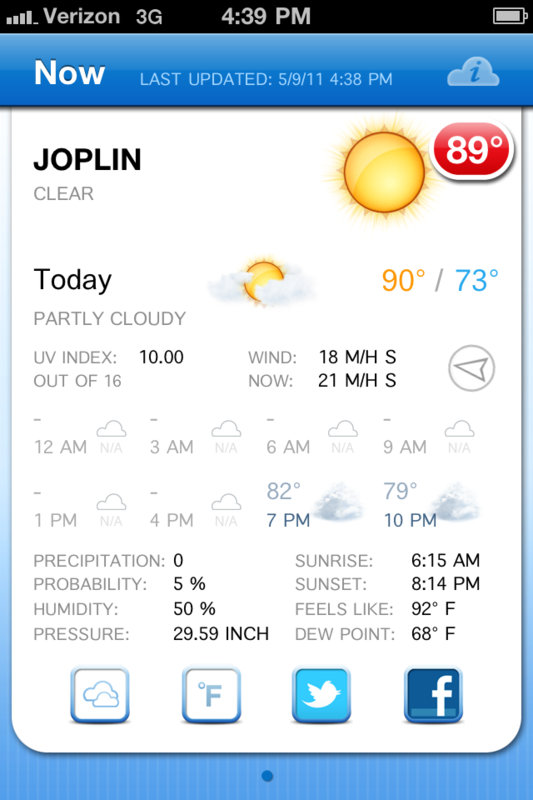 If only I could uninstall the default weather app.